This beautiful Victorian home was built in 1891, the same year as the original Murray County Courthouse. Mr. Christopher Dinehart was so impressed with the courthouse’s architect, Frank Thayer of Makato, that he hired Thayer to design a home for him. The family had moved to Slayton in 1882. Mr. Dinehart was one of the founders of the State Bank of Slayton and later became its president. The Dineharts owned much farmland in the county and raised sheep, hogs, and Jersey cattle. Flora Dinehart owned the first piano in the county, and the community would gather once a week to enjoy music. The Dineharts’ openhearted hospitality was a well-known characteristic of the home. Christopher passed away in February of 1927, and Flora in June of 1938. The Dineharts’ son, Clarence, who served as a Minnesota State Treasurer, died of a ruptured appendix at the age of 33. Florence Dinehart, Christopher and Flora’s daughter, continued to live in the home with her husband, Harvey Holt. 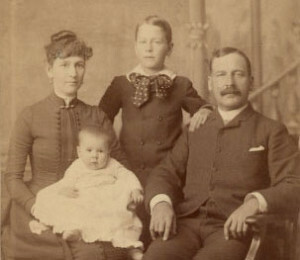 The Holt family had three children: Harvey Holt Jr., John, and Robert. Judge John Holt was the last member of the family to live in the house. He passed away in 1993. The Dinehart-Holt House has been listed on the National Register of Historic Places since 1973. Following the death of Judge John Holt, the house and many of the furnishings were sold at an estate sale. The house was put up for sale again in 2007 and purchased by Murray County to be used as a Historic House Museum. The essential character of the house remains and provides visitors with a glimpse into the early days of Slayton and Murray County. 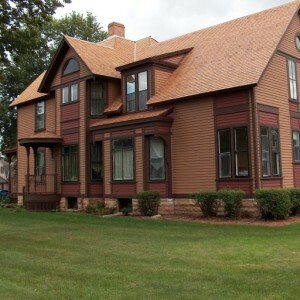 The Murray County Historical Society is responsible for the maintenance, contents, rental, and use of the home.